Selling insurance is a great profession to have in the modern age, great pay, benefits, and you’re selling something that people actually want. There’s only one problem for people that want to get started in this career, you need to get a license. That’s where this free template comes into play. 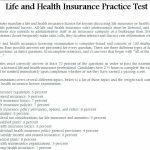 The free The Property Casualty Test template helps you prepare for the accredited licensing insurance agents exam. This will ensure that you can sell property and casualty insurance. Primarily, you will be selling property and casualty insurance to businesses and individuals, which covers worker’s compensation, employee benefit payouts, and financial losses from events such as fires, floods, and accidents. If you want to get started with this free template, then follow the set of instructions below. 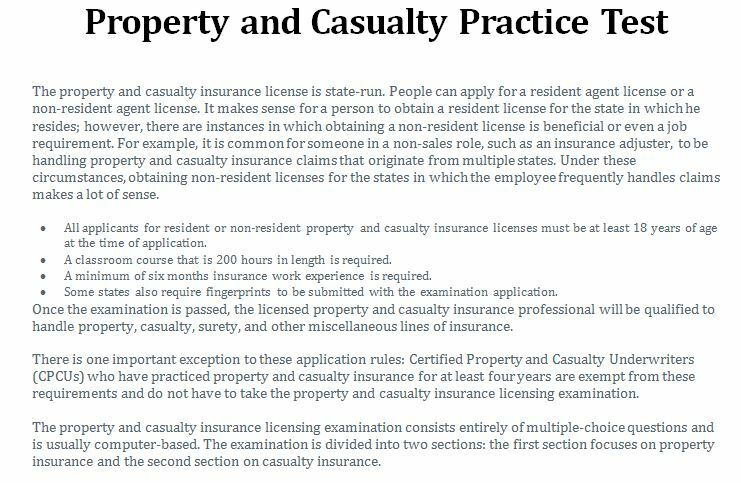 • All applicants for resident or non-resident property and casualty insurance licenses must be at least 18 years of age at the time of application. • A classroom course that is 200 hours in length is required. • A minimum of six months insurance work experience is required. • Some states also require fingerprints to be submitted with the examination application. 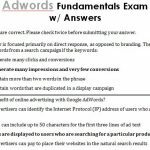 Once you meet these qualifications, you can scroll down to the test questions. 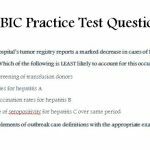 We advise that you study the material and try to complete the test without the answers first. You can print this sheet by clicking the “File” tab above and choosing the “Print” options given. Once you have completed the test on your own, feel free to scroll to the bottom of the template to check your results with the correct answers below. 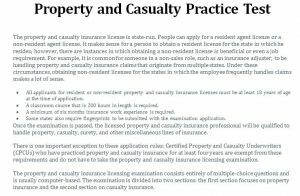 This template gives you the tools needed to complete the Property and Casualty Practice Test and get your license to sell these insurance types.